The Luxury toilet from Mobile toilet services provide a superb environment for you and your guests. 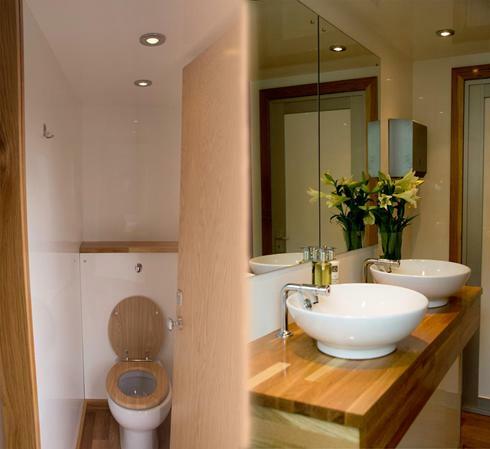 Our Luxury Toilet Trailers only require a flat surface area, also 16amp electric supply. If you have special occasion, that requires Posh loos, you have come to the right place. Trailer toilet hire will compliment any outdoor event with insufficent, Quality portable toilets. MTS offer three different models to accommodate large or small functions. All units delivered fully equipped and stocked with consumables. The units are recirculating which means we only need a power supply for them to be operational. We have a perfect option to suit any event, all our toilets are finished with quality furnishings(oak, marble, real ceramics). We can even offer an attendant to ensure that the toilets are kept clean and fully stocked during the event.